The Red Dot Award is an internationally recognized competition and quality seal since 1954, with a prestigious reputation in the media. 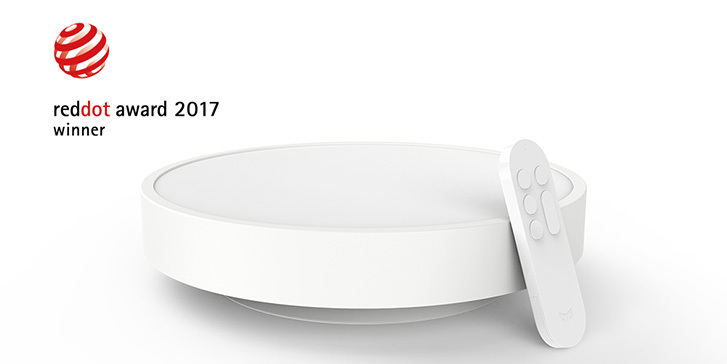 Yeelight is excited to have received this accolade, as the winners are carefully chosen for reaching an extraordinarily high level of design. When we start designing the product, we aimed to make a ceiling light that is different from previous ceiling light products. It should provide high-quality lighting which is similar to natural light and a pleasant user experience. To achieve our goal, Yeelight LED Ceiling Light is equipped with 240 pcs lumileds/OSRAM LEDs of a color rendering index up to 95Ra. It supports adjustable color temperature, and is dimmable from 0.1 to 2000 lumens. Moreover, with a quick coupler module, installation becomes much easier just by pushing and sliding to lock the light into holder. 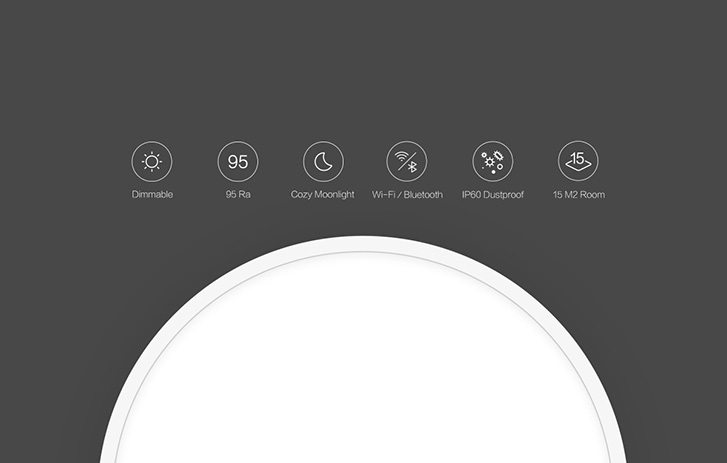 The light also supports with Wi-Fi and Bluetooth, making it possible to be controlled by both APP and remote control.